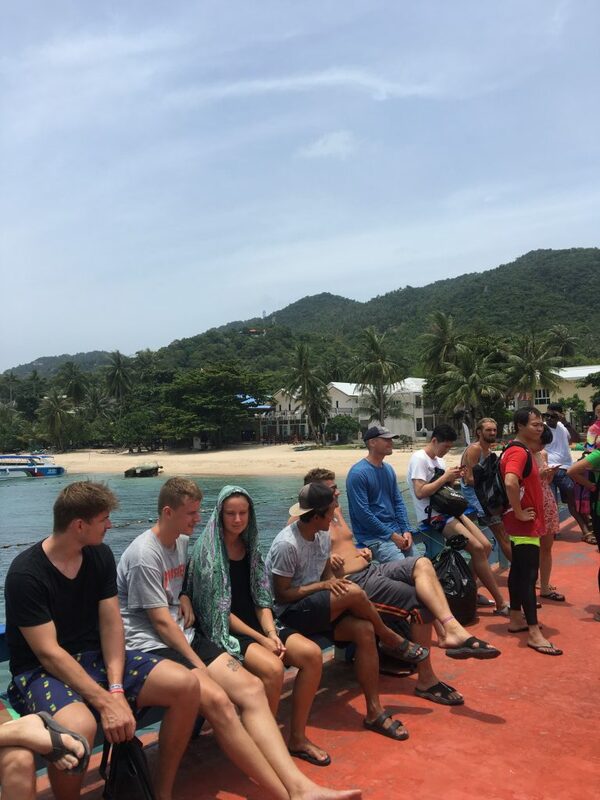 This best Koh Tao diving school review will explain everything you need to know about diving in one the best, cheapest dive destinations in the world and which dive school in Koh Tao to choose. 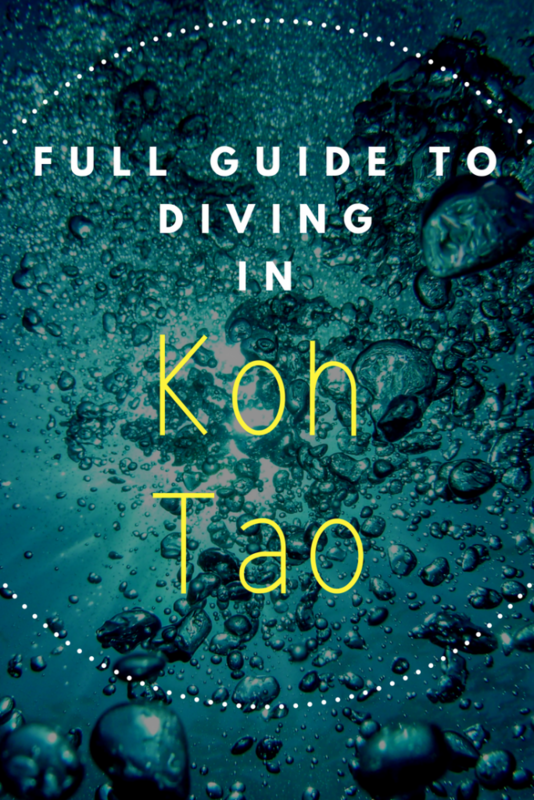 We tried the diving out on our 3 night stay in Koh Tao as this is obviously one of the best things to do in Koh Tao. 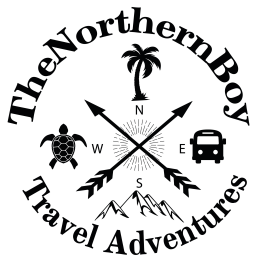 You will find plenty of amazing restaurants and places to stay on Koh Tao during your time on the island. The island of Koh Tao has been attracting visitors for over 35 years. People from all over the world gather from all over the world to take full advantage of Koh Tao’s cheap diving packages. 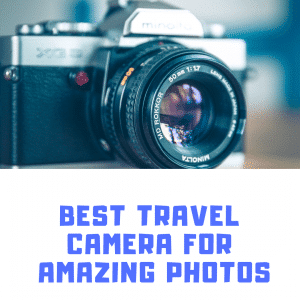 I had the exact same thought in mind, save my backpacking diving budget for the inexpensive Koh Tao diving. If you have already made the boat trip from Koh Samui or Koh Phangan to Koh Tao. You will be able to go and check out the dive shops yourself on the island as they are all located near each other. For example, big blue, new heaven and crystal dive are all near each other and they’re more or less the best dive shops on Koh Tao. With so many diving schools in Koh Tai (over 80), how do you pick the right one? 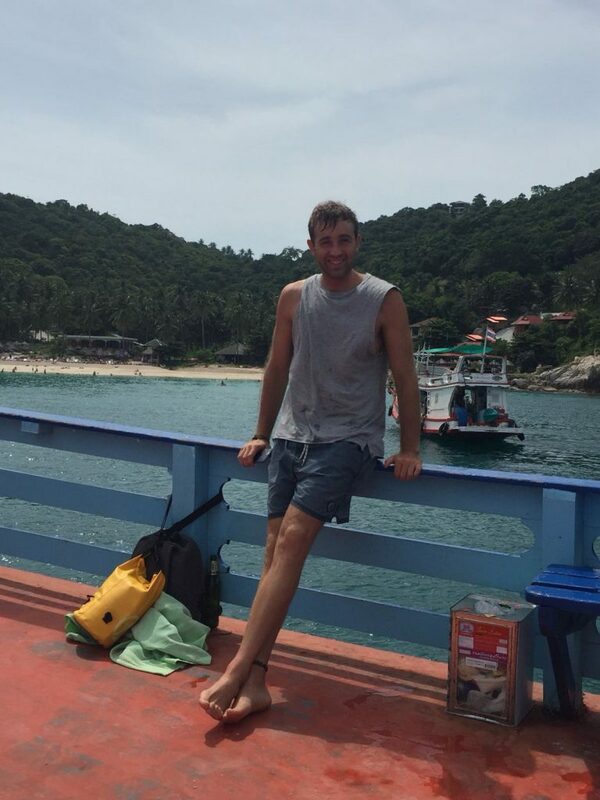 I dived in Koh Tao without a certification and most of the schools do allow you to do this. 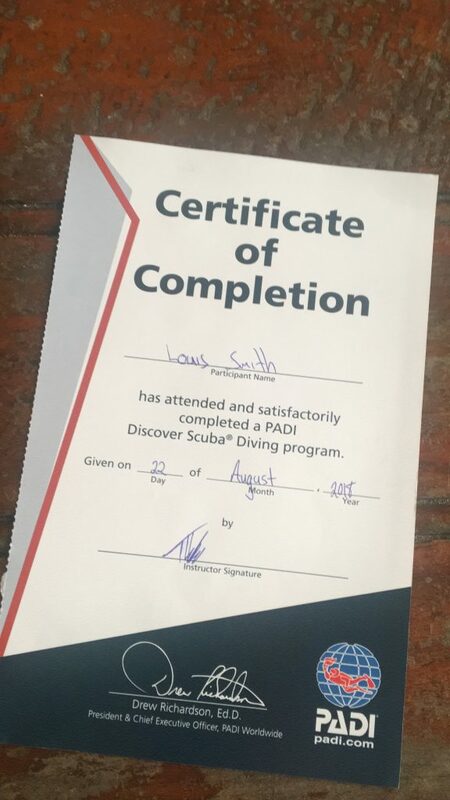 You will see on a lot of the Koh Tao dive school reviews that a lot of people don’t actually have a PADI certificate and just join in one of the fun dives like the ones big blue and new heaven offer. Bottom line is – yes you can dive in Koh Tao without a certificate. There are plenty of reasons to scuba dive in Koh Tao and below I have shared the main reasons people choose Koh Tao to scuba dive. I wanted to dive here because I heard from the backpacker whispers that it’s amazing, affordable and some of the Koh Tao dive schools offer flexible packages. We resisted diving in Bali, Nusa Penida and the Gili islands, which are known to be home to some of the most exotic dive locations in the world. Swerved them all in favour of the epic diving in Koh Tao. Okay, let’s have a look at the main reasons you will probably choose diving in Koh Tao. Thee dive community is amazing in Koh Tao, there is such a good vibe flowing through all of the dive schools in Koh Toa and it was the same atmosphere on our crystal dive boat. We all had such a great day and learned a lot from each other about the different countries and culture. Koh Tao can be visited more-or-less all year-long as it provides hot weather all year. The rainy season in Koh Tao starts around the end of November/early December and only lasts a few weeks. However, like real troopers the boats still tend to operate and battle with the waves in Koh Tao’s rainy season. I did the dive in August and the sun was beaming all day, however the next day the rain was hammering down. But, don’t worry about the rain the diving schools operate all year and believe it or not. It doesn’t rain underneath the water. Top tip – From October through to March the weather is Koh Tao provides high tides. These are perfect for swimming and snorkelling. Diving and snorkelling in Koh Tao is always going to be a sweet experience (even if you don’t have a dive certificate) as the island provides a natural aquarium for the fish around Koh Tao. The dive sites in Koh Tao can match any other tropical dive destinations in the world. I was praying I would see a whale shark and my dive instructor said there’s a small chance we would see one. C’mon man don’t lie to me, I’ve got to see one! 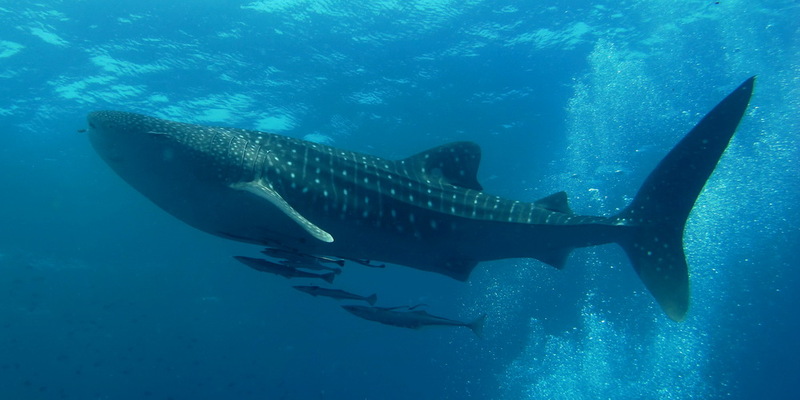 If I would have got to see a whale shark, it would have sealed the deal that Crystal divers are the best Koh Tao diving school on the island. We didn’t see a whale shark, but we did see plenty of other cool fish on my diving trip in Koh Tao. 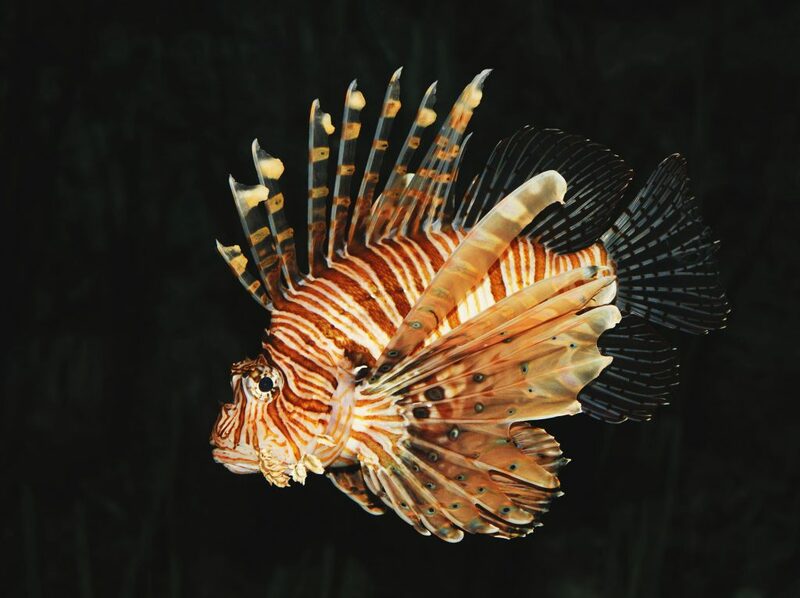 What are some of the fish I might see at the dive sites in Koh Tao? This post recommended one of the island’s most expensive best dive school of Crystal Bay dive school for the Koh Tao diving school review. However, by no means is it expensive compared to any other dive schools around the world. The prices of Koh Tao’s diving schools are unbelievable. The prices of the Koh Tao diving schools attract in all corners of the world. I met Americans, Dutch Germans, Oz’s and more on one single dive in Koh Tao. Most of them had come to the island because of how cheap the diving in Koh Tao is and also how good it is. This is the dive in Koh Tao that I took part in and it was an incredible day! The price is for a full day (9am-5pm) and includes morning skill learning in a pool. 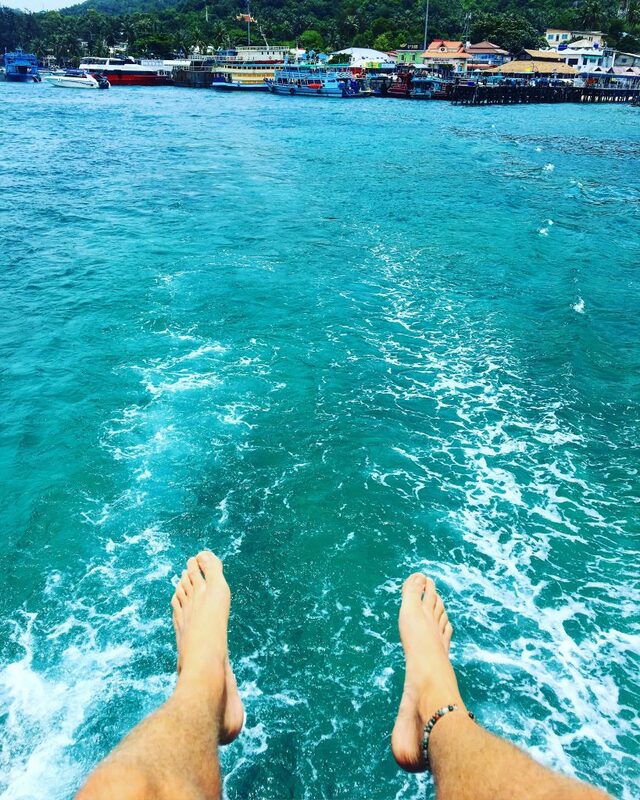 Then you spend the afternoon on the boat preparing for a 30-minute dive in one of Koh Tao’s epic dive sites. It was on the boat I decided to create this Koh Tao diving school review, because of how much of a sweet day I had. Furthermore, after your dive, you do have the option to pay 1000 Baht for another dive and there is the option the extend your day into the full PADI 4 fay certification course. Become a certified PADI diver with this 4-day course, this is the course I wanted to do and it’s something I will do in the future. This course sounds completely awesome! You get to do night dives, shipwreck dives and a lot more. How cool is that!? However, this is for advance divers, so if you’re like me a newbie, you will have to do the PADI open water course first. Another really cool diving course in Koh Tao. This diving course teaches to become a certified rescue diver. 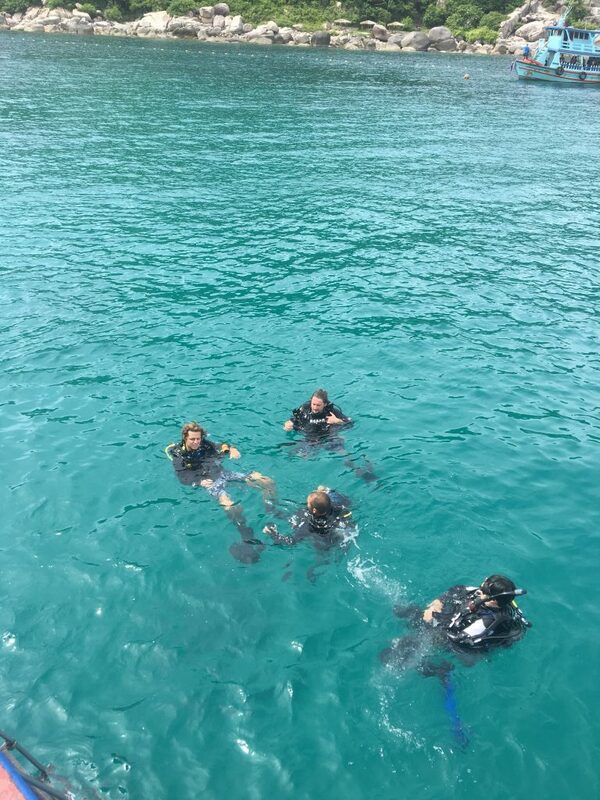 Some of the guys on my boat was doing this qualification and it looked really fun the stuff they were learning at the dive sites. But also, serious. 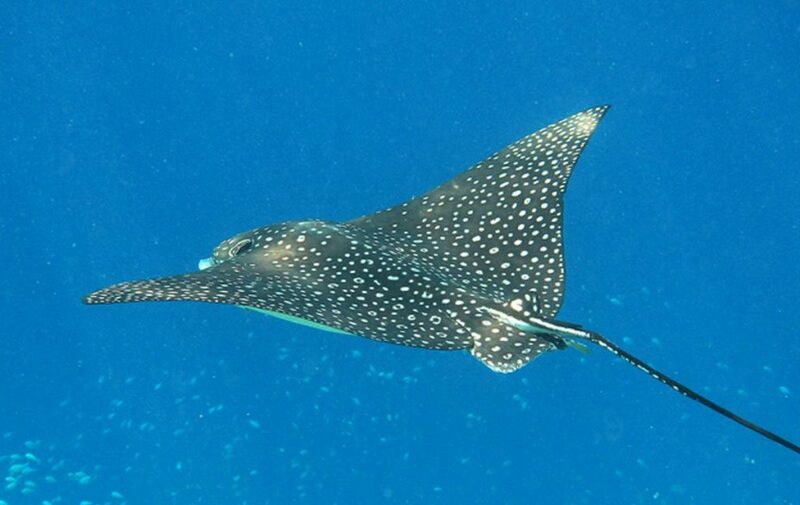 This is what experts recommended as some of the very best dive sites in Koh Tao. Chumphon Pinnacles – Really for advanced divers with amazing views and big marine life. Shark Island – Famous for its carnivorous marine life and you can spot turtles here. Sail Rock – A 22 metre drop in the water is perfect for seeing large marine life such as whale sharks, barracuda and manta rays. You will notice from the dive school reviews on the internet that you will have a great experience. 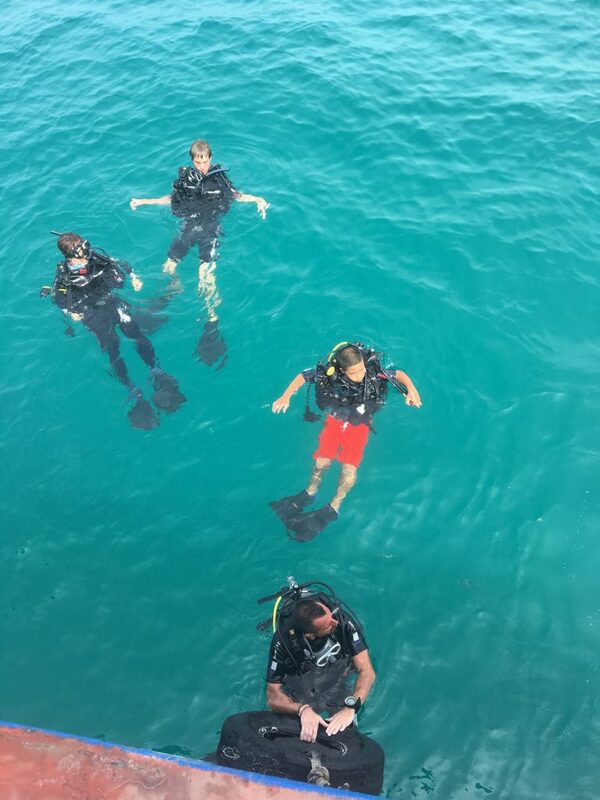 Some schools offer better dive experiences in Koh Tao than others. But this all depends on your budget. Would I dive in Koh Tao again? 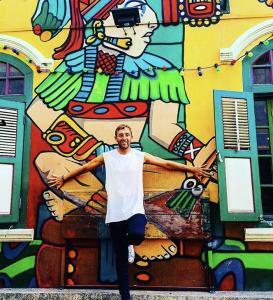 Hell yeah! I had such a wicked day and its an experience I can take away forever. I know one day I will possibly return to dive in Koh Tao. I would love to become a certified open water scuba diver, how cool is that! I would definitely do my dive course with Crystal Dive. They have great facilities, the staff are amazing and the courses are out of this world. Hey if this has been helpful, please subscribe to my journey below.